Singapore (VNA) – Singapore kicked off the Proliferation Security Initiative (PSI) exercise “Deep Sabre 2016” on September 27 at the Changi Command and Control Center. This year’s navy exercise, held from September 27 - 30, involves more than 800 military personnel from 21 countries such as Australia, Canada, France, US, Germany, Japan and Russia. 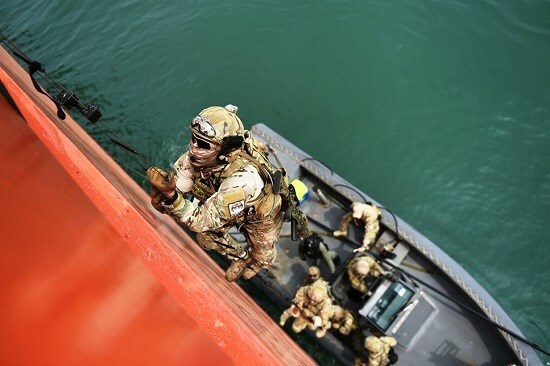 Participating countries will exercise various maritime security activities, including a simulated interdiction of weapons of mass destruction (WMD) delivery and proliferation. Speaking at the opening ceremony, Maliki Osan, Secretary of State of Singaporean Ministry of National Defense, highlighted the importance of governmental agencies’ cooperation in fighting WMD proliferation. The demonstration is a strong message to terrorists inclined to use WMDs, he added.